New Enhanced Recorder (isRecordingLayout=1) is designed to record the entire browser tab including all the app icons and layout. 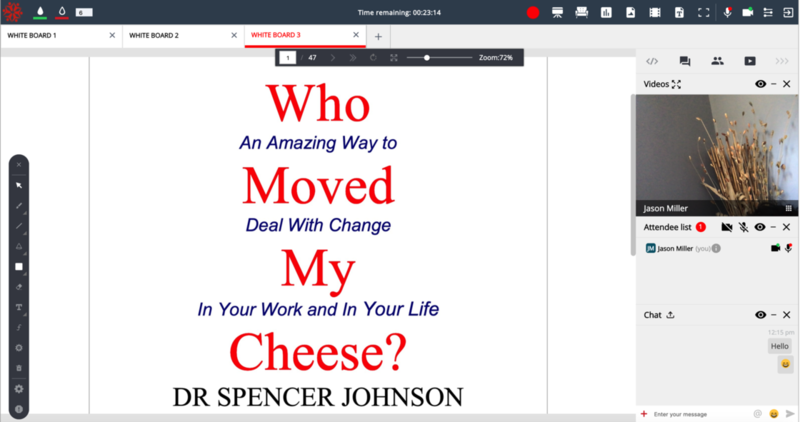 Customers can choose between current standard and all-new enhanced recorder layouts for recorded videos. If isRecordingLayout=1 is not specified in the API call, default layout of isRecordingLayout=0 will be automatically assumed be the current standard recorder. A new updated plugin version has been uploaded to allow entering coupon code during shopping cart checkout process. Download new versions from here. The previously reported issue of all the traffic going to Dallas, TX location when using 'auto select nearest location' (isRegion=0 API call) feature is now fixed. When you schedule a live class and leave the default isRegion=0 option, it will now assign class to the nearest datacenter location and/or takes the least congestion free network path in to consideration. We're excited to announce the launch our new virtual classroom region: Amsterdam, Netherlands! This brings our datacenter coverage to 15 global locations worldwide making BrainCert the largest virtual classroom provider! As always, we bring the same high-performance and reliable technology stack that we have developed over the years and that is in use in all our previous data centers. Our latest Amsterdam datacenter offers high performance and low latency performance to the rest of the world and provides fault tolerance to other European locations that BrainCert offers - Frankfurt, London, Milan and Paris. Use isRegion=15 to use the new Amsterdam location. We are currently investigating issues related to session recording and intelligent routing to nearest datacenter feature. 1) Customers are advised NOT to use isVideo=1 parameter that concatenate multiple video files into a single video file. Due to a bug with current version, the final video is not produced in few situations. This has been fixed in the upcoming major version anticipated in 2-3 weeks. 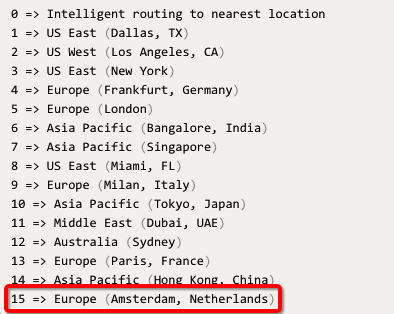 2) "Auto select nearest datacenter location" feature is routing most of the classes to Dallas, TX location which maybe congested due to high volume of traffic. Customers are advised to manually select a datacenter location. Surely Virtual Classroom API will start publishing changelogs very soon.